Experience the delights and natural beauty of our picturesque islands by water on a comfortable and spacious powerboat. Snorkeling, sightseeing, beaching and bar-hopping can all be at your reach with a Salty Dog Day Sails powerboat charter excursion. 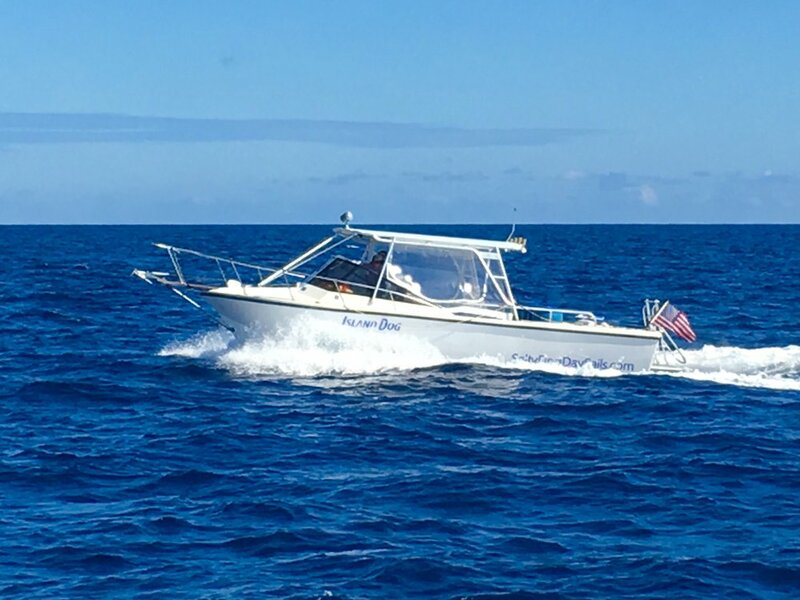 Treat yourself to this best kept secret of things to do while vacationing in the Virgin Islands, a Salty Dog Day Sails powerboat charter excursion. Come get SALTY with us! The fun is close at hand with a Tortola & JVD powerboat Charter Excursion. We motor along St. John’s scenic north shore with expansive views of the Virgin Islands National Park. 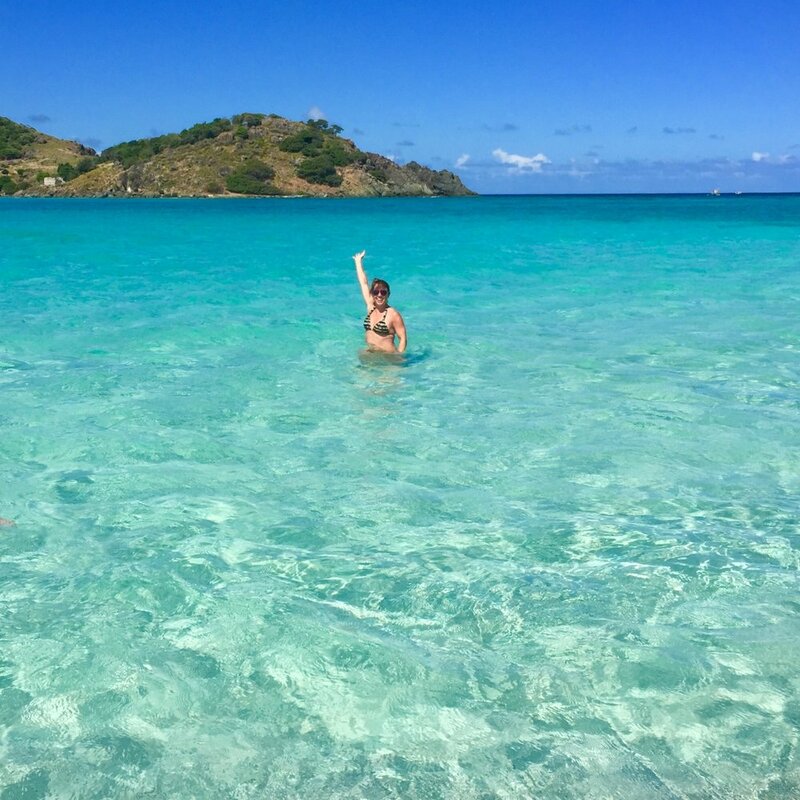 Clear Customs at Tortola’s West End and head toward Sandy Spit, Green Cay and the east end of JVD for a hike to the Bubbly Pool and lunch at Foxy’s Taboo. End the day for afternoon beach time and painkillers at White Bay, home of the iconic Soggy Dollar Bar. 12 passengers max on any trip. 8 passenger minimum on public trip. Virgin Gorda epitomizes beauty with its iconic, tourist-accessible BATHS natural water-based feature. This is a longer day with much adventure. Perfect for groups with agility and endurance to swim to shore and engage in mild flexibility-requiring guided hike through the Baths. Weather contingent, especially in winter. Lunch is based on prevailing conditions and could be at: Top of the Baths, Marina Cay, Cooper Island, Foxy’s Taboo or the Willy-T.
Design your own custom USVI & BVI powerboat charter aboard spacious and comfortable powerboat ‘ISLAND DOG’ with destinations including: JVD, Sandy Spit, Norman Island, Peter Island, Cooper Island, Virgin Gorda. Snorkeling, sightseeing & bar hopping. Staying local in USVI waters is also a dream with a fun circumnavigation of St John trip or PizzaPi snorkeling cruise. 12 passengers max on private trip.